CCleaner is one of the most popular tool for system cleaning up tools available for Windows. There is a free version of CCleaner which is useful for most of the users. It can clean up the system junk and temporary files, clear web history and cookies and other application cache data with a single click. 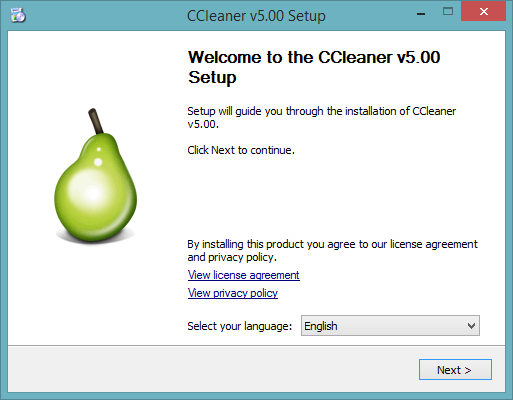 Piriform has released the first beta of CCleaner 5.0. I had downloaded and installed the beta version but didn’t find any major change from the previous versions. Except that the new version comes with a newly redesigned modern interface. I hope there will be more changes to this version when it approaches the final release. But even if only the user interface has been changed in CCleaner 5, I will consider it a big change as CCleaner’s interface has never undergone a major change since the last 10 years or so. The new CCleaner comes with a slim and flat tiled interface with white icons. The left hand menu remains the same and contains Cleaner, Registry, Tools and Options menus. Under Cleaner menu, you are given two tabs; Windows and Applications. Both tabs list down a host of check box options which lets you select the items that you want to delete or clean in Windows. 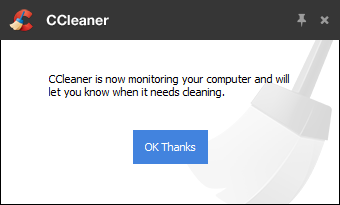 Another feature of CCleaner is the monitoring option. Now CCleaner can monitor the junk files and application left overs. 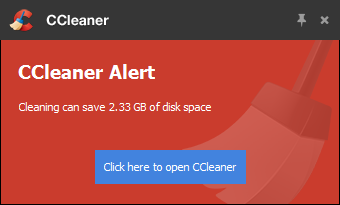 In the free version, there are very limited monitoring options but the Pro versions gives us options like specifying the amount of space which can be saved with CCleaner becomes more than a specific percentage then you can let CCleaner run automatically or alert you about this. In the Pro version, you can also monitor the web browsers and specify certain actions at certain triggers. You can also set the trigger to cleanup the browser history and cache files upon browser shutdown. I love the previous interface and CCleaner’s simplicity. I usually use the portable edition of CCleaner on most of my computers where cleaning is a must. One feature that I really miss is the auto instant cleanup feature. Just like the browsers have a feature to clear the cache and history when closing, CCleaner should have a feature that it should run whenever a supported application is run and closed. It’ll be very difficult to implement in my opinion as there is a performance cost if your are monitoring and acting in real-time. I don’t think it’ll be viable for the users to lose their system performance for this little thing .. a scheduling option will be better I think. What’s your opinion on that?